A superb debut album from an artist who’s simultaneously local and global. Guatemala’s Doctor Nativo is one of Central America’s most exciting new talents. 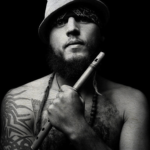 His music layers Mayan spirituality, social activism, and folk wisdom over a propulsive sound combining reggae, cumbia, hip hop, and pre-Columbian instruments. His debut album, Guatemaya, (due out September, 2018 on Stonetree Records) is a call for social justice for his country’s indigenous majority. Drew Gonsalves was on a boat when the idea came to him. 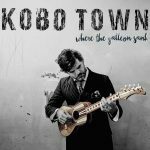 The Kobo Town bandleader was heading out on the Gulf of Paria, a pocket of the Caribbean Sea which stretches between Trinidad and Venezuela, when he spotted the rusted wreck of an old barge beneath the surface. Guayo’s first solo album Coco Bar, takes him way back to his childhood memories to create his guitar dreamland with a slinky, soulful, latino surf rock sound that will appeal to world music fans, jazz aficionados, guitar freaks, and lovers of indie rock. Darandi is a collection of Aurelio's favourite songs from his career recorded to capture the sound of his incendiary live performances. Accompanied by some of the Garifuna world's brightest musical talents, pairing upbeat, dynamic rhythms with melancholy, heartfelt melodies, this music is both deep and danceable. 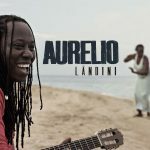 "A mature expression of Aurelio's decades-long sojourn, Darandi is a definitive rendering of some of his most compelling original and traditional Garifuna material." Remember those big, beautiful stereo receivers from the 1970s? Well, some of them had a mic input in that shiny metal faceplate. 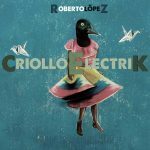 When Roberto Lopez was a teenager growing up in Bogotá, he would plug his black Les Paul knockoff guitar into his parents stereo and crank it up until he got that sweet distortion that he was after. Much to his parents’ dismay of course. "Abraxas from Montreal... a major update." 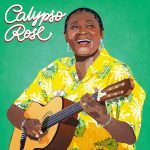 Forget the thorns, because she has them, and without delay pick this (Calypso) Rose who, at 75 years old, looks fresher than ever. 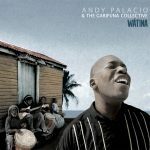 Andy Palacio & The Garifuna Collective’s 2007 album Wátina introduced the world to the soulful melodies and powerful rhythms of the Garifuna people of Central America. Palacio passed away suddenly a year after the album was released, leaving his community wondering who would carry the torch. On Ayó (“Goodbye” in the Garifuna language) The Garifuna Collective and Wátina producer Ivan Duran have created a magical album whose songs of heartbreak, hope and joy will take your breath away. On the Caribbean coast of Honduras, in the tiny village of Plaplaya, Garifuna songwriter, singer, and guitarist Aurelio first learned music at his mother's knee. At the end of the day, villagers would return in their boats to the river landing, gathering to hear paranda, the guitar-driven music of Garifuna troubadours who teased and taught, bemoaned and praised community life. 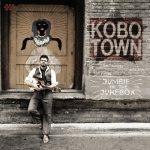 Jumbie in the Jukebox strikes the perfect balance between tradition and innovation, with a sound that is both timely and timeless. The band’s sizzling musicianship compliments Gonsalves’ remarkable lyrics, arch observations of the best and worst aspects of human nature. 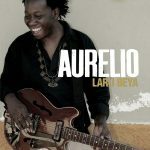 With the sea as his constant companion, Aurelio makes music that spans tragic history and soulful ceremonies, music sparked by his childhood in an isolated coastal hamlet and channeled to honor his late friend and mentor, Garifuna musical icon, Andy Palacio. 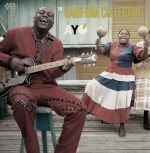 Blending the rich vocal textures of women from the Garifuna communities of Central America with echoes of rock, blues, funk, African, Latin and Caribbean music, Umalali is an entrancing journey into the heart and soul of a unique and inspiring culture. From the award-winning producer of Andy Palacio & the Garifuna Collective's Watina comes this album of indescribable emotion, strength and beauty. Years in the making, Wátina is infused with contemporary influences, yet firmly rooted in the rich musical traditions of the Garifuna culture. Belizean icon, Andy Palacio, leads an all-star, multi-generational lineup to deliver a monumental tribute to the Garifuna of yesterday and tomorrow. 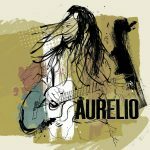 Following in the footsteps of the legendary Parranderos from the Caribbean coast of Central America, with an enchanting blend of African and Latin acoustic roots, Aurelio emerges as one of the most exceptional Garifuna artists of his generation. The Grandmaster is Belize’s finest dub-poet. Just Like That.. includes sixteen songs based on many of his best-known poems, accompanied with an eclectic mix of instruments ranging from Creole, Garifuna and African percussions to Maya K’ekchi' guitars. Three generations of legendary Garifuna composers and musicians from Belize, Honduras, and Guatemala together for the first time on this landmark recording. Imagine African drumming, American Blues, Cuban Son, and West African guitar all wrapped into one. For those unfamiliar with Brukdown, Weh Mi Lova Deh is the ideal introduction to this genuine Belizean style. Born in the logging camps of 17th century British Honduras, Brukdown is still fueling parties today. Mr. Peters' driving accordion and fascinating, double entendre Creole lyrics have made him Belize's best loved musician. In this impressive debut album, Lugua and the Larubeya Drummers present a selection of songs covering the entire range of Garifuna drumming styles. 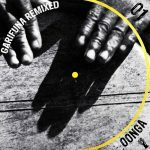 With Lugua's passionate voice in call and response with female vocals, this is Garifuna roots music at its best. Lugua and the Larubeya Drummers present a selection of songs covering the entire range of Garifuna drumming styles. 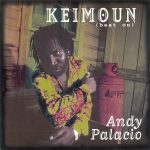 In addition to being the first locally produced release on CD, Keimoun is also considered by many as the most significant recording to come out of Belize, and was the first to attract international attention and acclaim. © 2019 Stonetree Records, Belize, C.A.